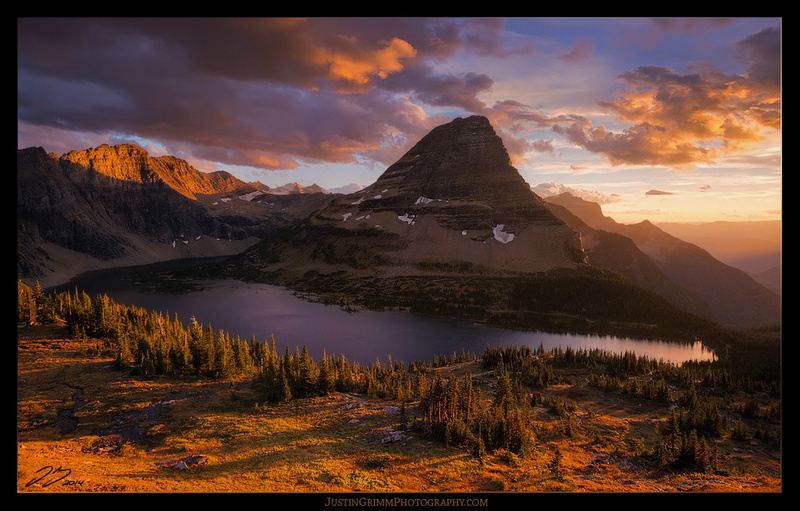 This shot is of Hidden Lake, located high up in the beautiful Glacier National Park. Surprisingly I never knew this park existed before getting into photography, even though it is a mere 4 hour drive from my hometown of Calgary. It has a feel and topography totally different then any area of Banff or Jasper I so often frequent. A place where the mountain goats can roam free to enjoy any spot of urine soaked ground they wish. A place where the road actually makes some serious elevation gain helping reduce the amount of hiking needed to take photos. And an area where every mountain has an identical twin, or even a triplet, which confused the hell out of me to no end.....Lets hope I don't have multiple similar looking children in the future. Luckily, it is also a place that provided me with at least a half dozen great moments of light, this being one of the best from my past month of shooting. Thanks for looking!